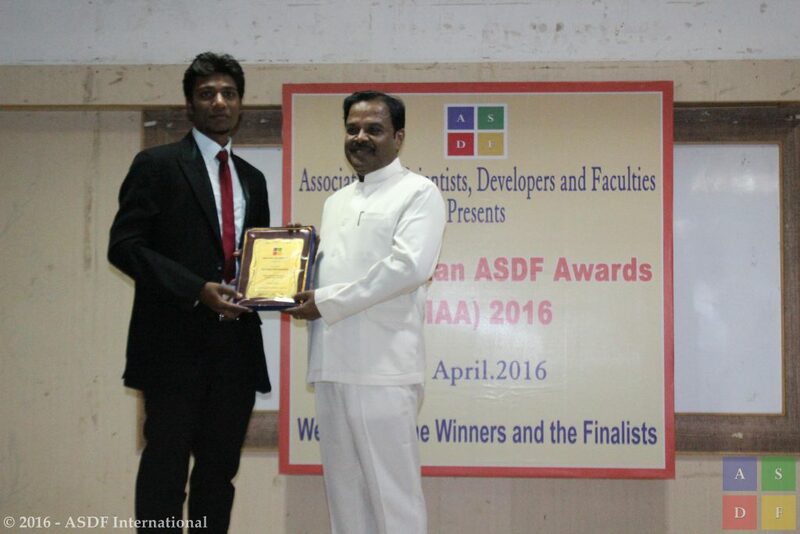 Tamil Selvan Sivasubramanian, Karpagam Institute of Technology received the Best Circuit Student of the Year 2016 award from the most respected dignitaries of the 1st ASDF SIAA 2016. The 1st SIAA 2016 happened at Meenakshi College of Engineering, KK Nagar, Chennai, Republic of India on 9th April, 2016. This year we had almost 978 applications from which 23 were selected in various categories and various metrics.